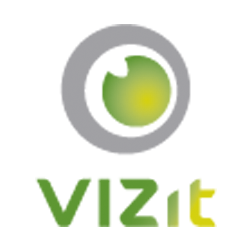 The version of Vizit: What version of Vizit is installed, including the build number. For example, 4.0 (build 0335 fa90898723). This information can be found on any of the Vizit Administration page in Central Administration. If the issue prevents these pages from loading, the full name of the installer executable used when installing Vizit should be sufficient. This version number allows us to see if we already have a fix for a particular issue or if we need to address it in an upcoming release or hotfix. The version of SharePoint: SharePoint 2010 has some major enhancements over 2007. With those enhancements come obvious changes to various parts of the product. Knowing which version of SharePoint is running will help us reproduce the environment as accurately as possible. A description of the problem: Explain to us what is happening. Does it happen consistently? Or is it intermittent? Make sure to let us know which product it is occurring in (Vizit Pro, Vizit Essential, etc). Giving us steps to consistently reproduce the issue will help us solve the problem quickly. Sample documents: There are some cases where a particular document can cause a problem. If an entire document or a single page fails to load in either Vizit Pro or Vizit Essential, we may need that file to reproduce the problem. If those documents have sensitive information, perhaps a similar document can be created that also reproduces the problem. Screenshots: Pictures are very valuable when trying to describe certain issues. Follow this KB to take the perfect screenshot and attach them to the ticket.